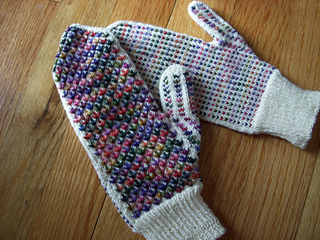 hand circumference 7, 7.5, 8"
A sophisticated mitten to delight your digits! 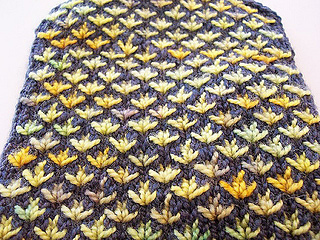 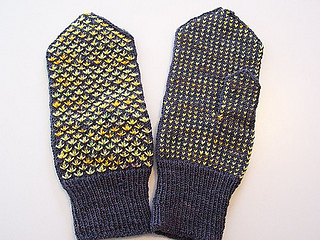 The mitten is knit in Lucy’s “Flying Swallows” stitch pattern, developed for the Fiesta Feet. 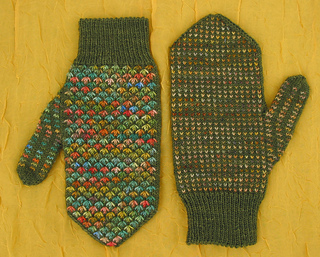 This pattern is easy to knit and makes for an elegant fabric. 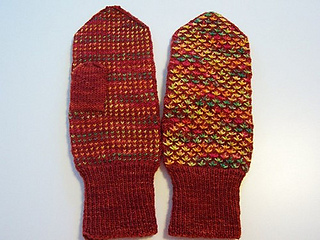 The pattern features helpful written instructions, diagrams and charts.